Our service expectations have always been exceeded by Gerber NCS from claim intake through to bill processing, as well as immediate resolution on any service issues. Gerber NCS began as a nationwide automotive glass claim administrator offering America’s finest managed network of professional, independent glass members. 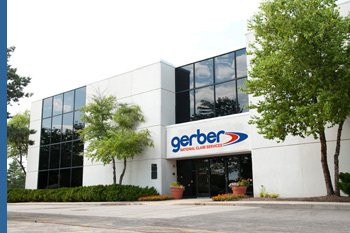 Since the beginning, Gerber NCS has provided a level of service unparalleled in our industry. Count on Gerber NCS down the road. Gerber NCS has delivered superior service through the years while expanding the original automotive glass solution to a menu of complementing claim services. The Gerber NCS technical integration team offers state-of-the-art technology to support our network. Real-time claim tracking, instant online claim access, and the ability to integrate with any system and more. Our Goal at Gerber NCS is to “WOW” every single customer with our quality and service and to “Be the best”, so that we become the first choice for all the services and products we offer. CLIENTS. Our clients are the focus of everything we do. EXCELLENCE. We strive for excellence in all we do. QUALITY. We are totally committed to quality and continuous improvement. EDUCATION. We must be learning continuously. HARD WORK. Work should be an enjoyable part of a well-rounded life. HONESTY. Our integrity is never compromised. RESPECT. We believe in treating our staff, clients, and claimants with respect and courtesy.